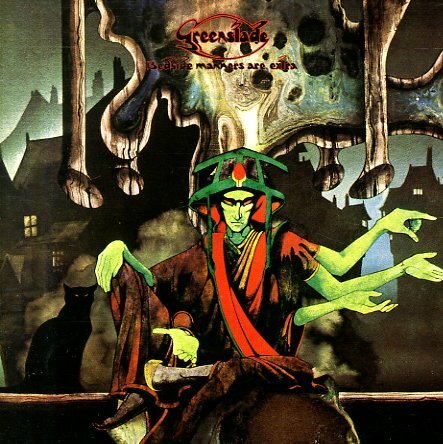 A 70s gem from Greenslade – a record that's filled with keyboard lines that really soar, thanks to leader Dave Greenslade – and vocals from Dave Lawson, who almost seems to have the same sort of energy as a young Freddie Mercury! The mix of elements here is great – at a level that should have made Greenslade much bigger at the time, as they really come on with a topshelf performance that rivals the best of this crossover prog generation. The drums are fantastic, too – really setting a solid ground while the organ and other keyboards soar over the top. Titles include "Pilgrim's Progress", "Drum Folk", "Sunkissed You're Not", "Chalk Hill", "Time To Dream", and "Bedside Manners Are Extra". CD features bonus tracks – "Time To Dream", "Bedside Manners Are Extra", and "Pilgrim's Progress" – all recorded on BBC on October 31, 1973. DVD features a Greenslade promo film by Warner in 1973 – with the tracks "Melange", "Temple Song", and "Drowning Man" – plus Old Grey Whistle Test performances of "Pilgrim's Progress" and "Bedside Manners" from 1973. © 1996-2019, Dusty Groove, Inc.